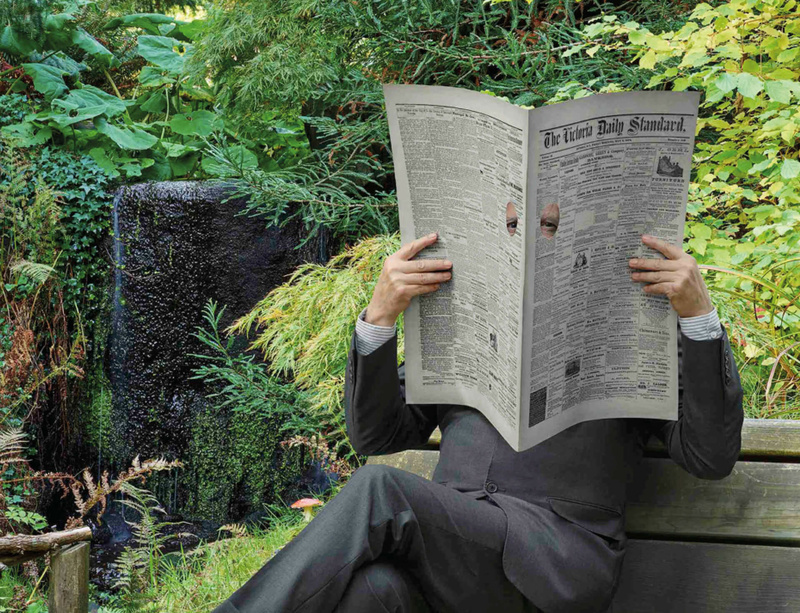 Two exhibitions by Canadian artist Rodney Graham will open this March in the United Kingdom. BALTIC Centre for Contemporary Art in Gateshead presents 'THAT'S NOT ME', a major retrospective of the artist's work, while Canada House in London stages 'Canadian Impressionist'. Opening on 17 March, 'THAT'S NOT ME' is Graham's first major exhibition in the UK since his solo show 15 years ago at Whitechapel Gallery in London. Spanning BALTIC’s two largest galleries, the exhibition showcases the range of Graham's practice, which encompasses photography, film, video, sculpture, performance and music. It presents specific moments from the artist's career, highlighting his treatment of silent film and video in works like Coruscating Cinammon Granules (1996), Rheinmetal/Victoria 8 (2003) and Torqued Chandelier Release (2005); presented ​alongside a significant installation of Graham's photographic light-boxes and new works made this year. The exhibition at BALTIC coincides with a presentation of Rodney Graham's work at Canada House in London. Titled 'Canadian Impressionist', the exhibition has been curated by Canadian art historian Patrik Andersson, Associate Professor in the Department of Critical and Cultural Studies at Emily Carr University of Art & Design in Vancouver. It opens on 10 March and continues until 27 May. Please click here for more information on Rodney Graham's exhibition at BALTIC and here for more information on 'Canadian Impressionist' at Canada House.